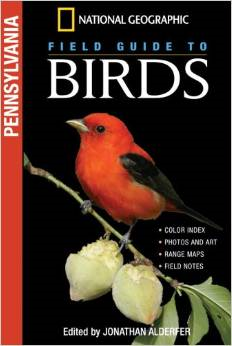 We’re also enjoying a new copy of National Geographic Field Guide to Birds, specifically for Pennsylvania. This is my kinda bird book–compact, straightforward, and beautiful, with large color photographs of every bird listed. I hung a paper titled “Birds We’ve Seen” on our fridge, and any family member is welcome to add to it anytime. 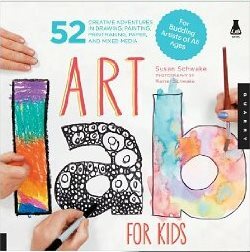 And finally, we bought a marvelous art book called Art Lab for Kids: 52 Creative Adventures in Drawing, Painting, Printmaking, Paper, and Mixed Media-For Budding Artists, by Susan and Rainer Schwake. I can highly recommend all of these. 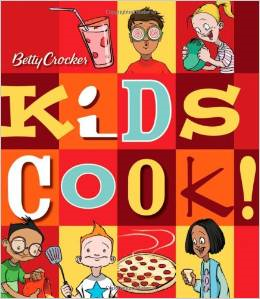 They’re bright, child-friendly, accessible, and flat-out gorgeous. This post now contains affiliate links. The associate has returned.